Last week the staff here at LibraryThing came up with a list of candidates for our next two One LibraryThing, One Book selections, and put them up for a vote. The results are in! Dracula and Frankenstein were pretty neck-and-neck (ha! 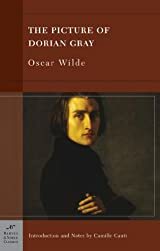 ), but Oscar Wilde’s only published novel won with an impressive lead. Dublin City Public Libraries tackled this one as a One City, One Book read a few years ago, too. Official discussion will begin on February 10th at 12pm Eastern. Thinking about joining us for this read? Introduce yourself, or look for the threads labeled “Dorian Gray,” over on the One LibraryThing, One Book group. For now, staff will be creating new threads, but feel free to start your own come February 10! You might also want to make use of our new Spoiler feature, if you’d rather not ruin the plot for others. In another landslide victory, Neil Gaiman’s meandering journey through deities from pantheons the world over beat out The Poisonwood Bible and, the 18th most-added book on LibraryThing for December, Where’d You Go, Bernadette. Official discussion for American Gods will begin on March 10th at 12pm Eastern, but feel free to get started early! 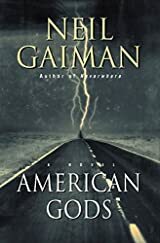 If you’d like to join us for this read, Introduce yourself to the group, and look for threads labeled “American Gods” on the One LibraryThing, One Book group page. As above, staff will be handling creating new threads for American Gods until official discussion begins on March 10. Prior to that date, please use Spoiler tags liberally! After that point, all group members are free to start new threads. I hope you’ll join us for one—if not both—of these reads! If you have any general One LibraryThing, One Book questions or feedback, those are always welcome in this thread.